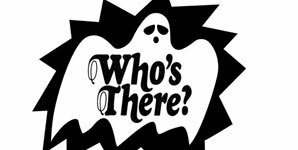 Riton & Primary 1 have teamed up on the single 'Who's There? ', the identity of the pair was unknown for a period of time but it was revealed the DJ and Artist were behind the track just before the release of the single. Who's There? Is the fifth single to be released on Erol Alkan's label Phantasy Sound. James Connolly directed by aka bass-wobbling DJ and producer L-Vis 1990 directed the 'spook fest' of a video. If you're a fan of Most Haunted, It's definitely one for you.